People born under the sign of Aries are a type of real explorers, who actually love to travel and learn about new, until now undiscovered areas. It has also reflection in other practical aspects. Their outstanding energy, boldness and courage in every situation are certainly highly noticeable. People staying in the company of Arieses are impressed with their singular character, that’s why they want to stay with them. Very often they decide to practice sport and actively spend time, because they cannot spend in the same place a long time. They think that active lifestyle definitely improves health and their well-being. Of course, it is an honest truth. Lack of physical activity may reflect on their tendency to rows, what obviously they want at all costs to avoid. 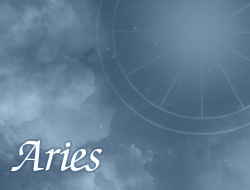 Arieses explode quite strong energy and high personality. Always and everywhere they want to carry out intended plans. These are really positive features. Thanks to their persistence and strong will, they quite often achieve successes in life, which aren't disposable.